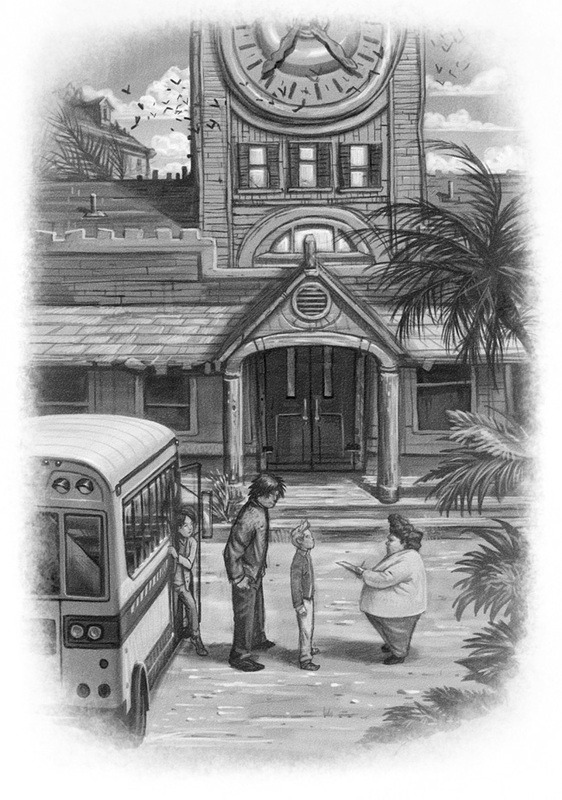 Falcon Quinn, thirteen years old, struggled toward the bus stop through the blinding snowstorm, carrying his tuba. He’d already begun to lose some of the sensation in his fingers and his toes, and the howling, gusting wind seemed, at times, as if it might blow his flesh right off his bones. It was a sharp, frostbitten morning in Cold River, Maine: March 21st, the first day of spring. But it didn’t feel like spring. Falcon climbed upward, step after icy step, until he finally reached the icy crest of the hill and put down his tuba case and his school backpack. Megan Crofton was already standing at the bus stop, her flute tucked under one arm. Flakes of wet snow gathered in her long black hair. Megan sighed, but did not look at Falcon. Instead she gazed toward the old cemetery across the street. As boneyards go, this was a small one, really not much more than a clearing in an untamed forest of white pines. Some of the graves were decorated with American flags, marking the final resting spots of soldiers from the Revolutionary War. Also among the dead were Megan’s twin sisters, Dahlia and Maeve. A statue of a white-robed angel stood above the Crofton girls’ headstones, its face cast downward. The angel’s head was covered in fallen snow. 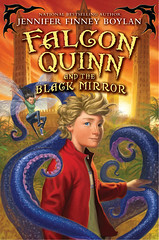 You can read the rest of chapter one of Falcon Quinn and the Black Mirror by clicking right here.